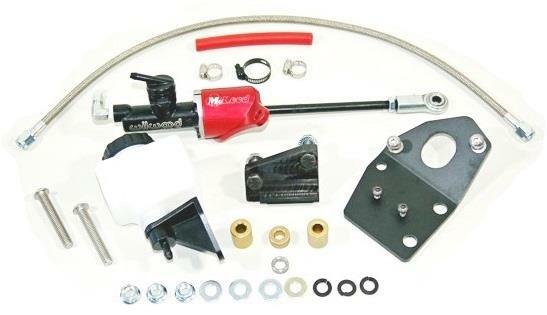 Ideal for cars that have aging mechanical linkage or need extra space due to a motor swap or other changes, a McLeod Direct Fit Hydraulic Kit is designed with the very best components for ease of install and great life. An additional benefit when installing this McLeod hydraulic kit is the self-adjusting bearing feature. No more adjusting the clutch every 4 – 6 months. The hydraulic kit will allow the bearing to self adjust when the disc wears throughout it is life cycle. Include Master Cylinder and Line.